Everyone wants to live in a spacious home, but most of us don’t have the money to buy the kinds of properties that offer vast open rooms. However, you don’t have to simply accept your situation when you’re in need of more space. You can always make changes to the way in which your home looks and functions. There are lots of little ideas that will not only add space to your home but add the illusion of additional space too. 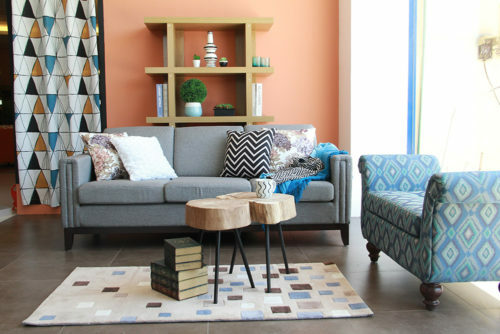 So, where should you start when you’re looking to make your home that little bit more spacious? Some of the changes we’re about to discuss are quite big, while others are very minor and easy to implement. Which of them you choose to adopt will depend on your own circumstances, but read on now and learn more about them all. First of all, you should think about rearranging your furniture so that you can make the most of your space. One of the things to think about is how you use and move around your space. There should be a clear pathway and through line in each room. It should never be tricky to navigate your space, and the way you arrange your furniture will decide whether that’s the case or not. If you’ve got some things that are taking up space in your home but you don’t really want to part with them permanently, you should look into making use of self storage options. This allows you to get a lot of this stuff out of your home, meaning you can then focus on making the most of your space without it being taken up by things that shouldn’t be there. It’s a big win-win for you. The mirror trick is as old as time, but it really does work in the home. When you add some extra mirrors to the space, you will find that the light gets reflected around the room, making the space look much bigger. It’s well known that dark and dingy rooms feel smaller than those that are flooded with natural light, so make use of that simple fact when designing your room. Do what you can to make the most of the light from the windows. Blinds rather than curtains can help with this. Any items that are big and bulky should be banished from your home at the earliest opportunity. This might sound like an unnecessarily sweeping statement to make, but with all the small and simple furniture options out there, it makes no sense to persist with bulky items. This is something that should also apply to your window dressings. Large and bulky curtains can really make a room seem smaller than it is, so get rid of them as soon as you possibly can. By keeping things as light and neutral as possible in terms of the interior design, you will be able to create the appearance of spaciousness in your home, even if there isn’t all that much space at all. This is because everything will feel more laid back and lowkey. Whereas, if you allow your space to be overwhelmed by colours and design choices that are too bold and brash, it will start to feel like the walls are closing in on you from all sides. There shouldn’t be a single corner of your home that you’re not making use of in one way or another. If you allow space to go to waste, you will only end up regretting it later, and that’s not what you want. If there is a spare corner, add a chair or some form of additional storage. If it adds something useful and functional to the space, it deserves to the be there. Of course, you shouldn’t just use the space for the sake of it; there has to be a reason for the changes that you ultimately make. 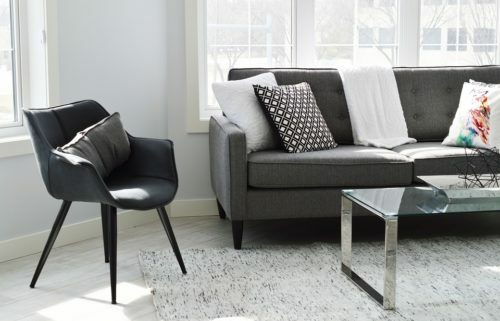 Your home might not be as big and spacious as you’d like it to be, but that doesn’t mean you can’t make changes to it that will accentuate the space you do have. These ideas are just the tip of the iceberg, so start by implementing them, and when you’ve done that, you can find other ways to make your home look and feel more spacious.